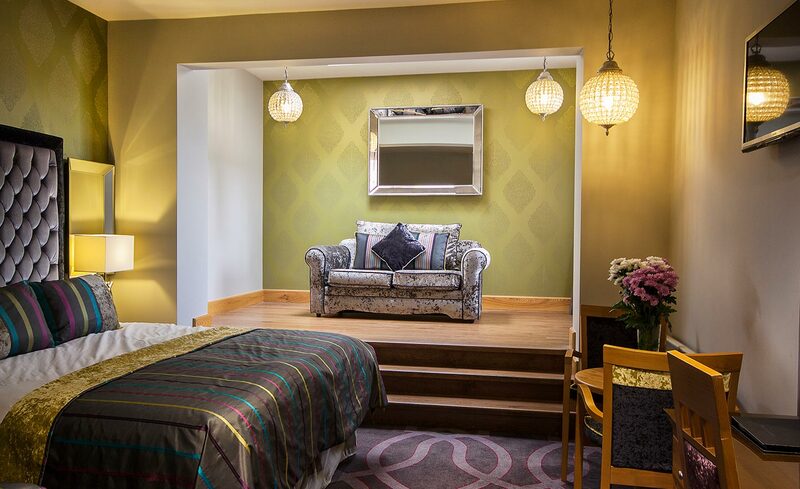 Relax in our spacious standard bedrooms and experience the quality and comfort of The Errigal Country House Hotel. 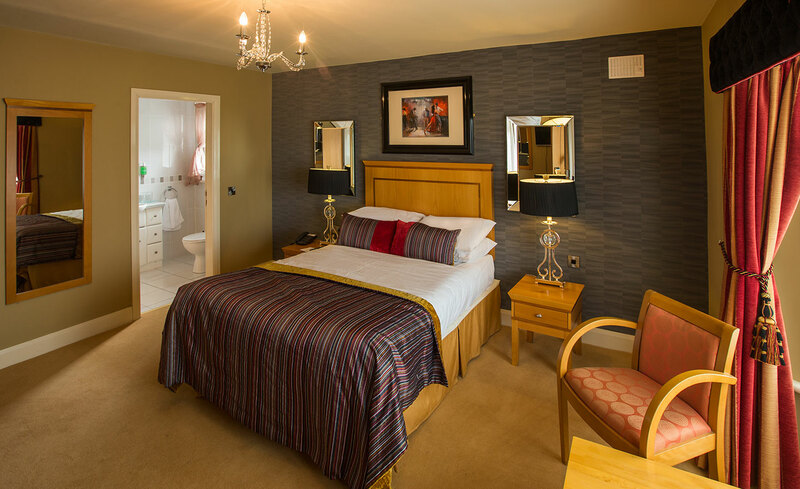 Our Standard Double, Twin and Family rooms are all en-suite and include air conditioning, interactive TV, complimentary WiFi, tea & coffee making facilities, hair dryers and direct dial telephones as standard. 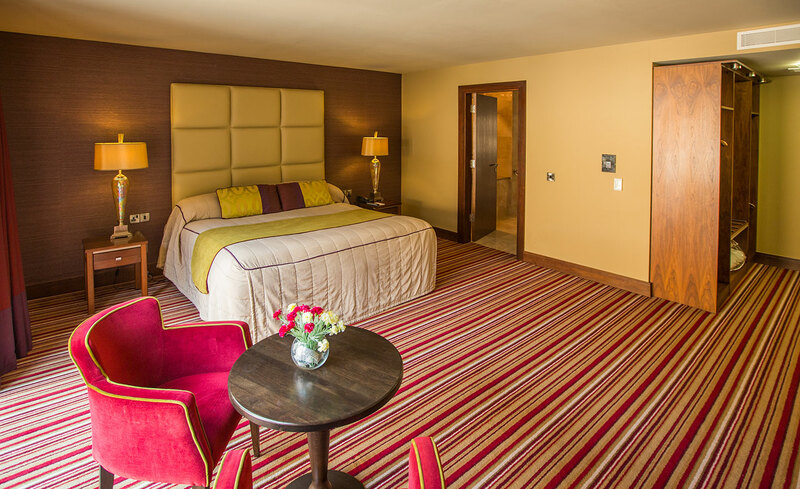 Larger than our standard rooms, our Deluxe Rooms are perfect for business or pleasure. 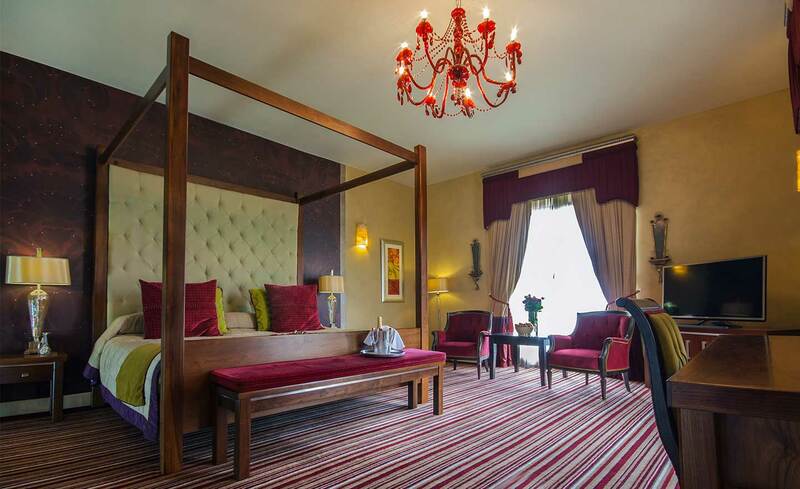 They offer the facilities of our standard rooms and extra space and comfort for you to unwind after a busy day touring Co. Cavan for work or leisure! For an indulgent treat or a special occasion, our Executive Suites are the perfect choice. With four poster king sized beds and Jacuzzi baths, these suites are perfect for a romantic break. Enjoy the comfort and amenities of four star hotel accommodation in our cozy lodges adjacent to the main hotel. A great option for families and wedding guests. The Elm and Cedar Lodge bedrooms are generous in size and quiet in location.